Power tools, namely, hydraulic torque wrenches, hydraulic bolt tensioners, hydraulic pumps, impact sockets, and induction bolt heating machinery. Industrial bolting services, namely, rental of bolting equipment and machinery; consulting in the design of bolting equipment and machinery; consulting in the operation of bolting equipment and machinery. On Friday, December 5, 2008, a canadian trademark registration was filed for the above pictured logo by Roger G. DISCHERT and Corinne 2915 Ogletown Road, Newark, DE 19713, UNITED STATES . The Canadian IP office has given the trademark application number of 1420925. The current status of this trademark filing is Registration published. The correspondent listed for is VINCENT ALLARD of 355 DES RECOLLETS, MONTREAL, QUÉBEC, CANADA H2Y1V9 The trademark is filed in the description of Power tools, namely, hydraulic torque wrenches, hydraulic bolt tensioners, hydraulic pumps, impact sockets, and induction bolt heating machinery. 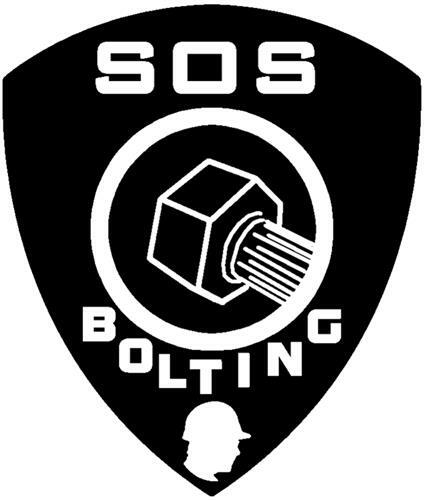 , Industrial bolting services, namely, rental of bolting equipment and machinery; consulting in the design of bolting equipment and machinery; consulting in the operation of bolting equipment and machinery. .
Mark Disclaimer: The right to the exclusive use of the word BOLTING is disclaimed apart from the trade-mark. (1) Nails, screws, bolts, rivets, dowel pins, screw nuts, drawing pins -- Note: See also 9.5.1. (2) Nails, screws, bolts, rivets and/or dowel pins, crossed -- Note: See also 9.5.1. (4) Other professionals (men) -- Note: Including astronauts. (12) Protective helmets -- Note: Not including helmets as parts of armour (23.5.5) and Mercury's helmet (with wings) (24.11.14). (1) - Power tools, namely, hydraulic torque wrenches, hydraulic bolt tensioners, hydraulic pumps, impact sockets, and induction bolt heating machinery. (2) - Industrial bolting services, namely, rental of bolting equipment and machinery; consulting in the design of bolting equipment and machinery; consulting in the operation of bolting equipment and machinery.